Many claim that there is a “termite season”; however, this is a myth. Termites are active all year long. Certain behaviors may appear to be seasonal; however, the vast amount of devastation that these insects cause never stops. 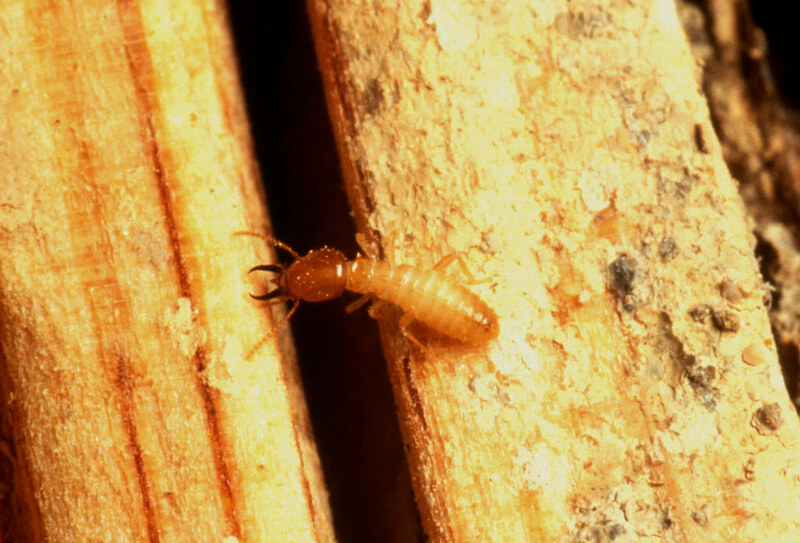 The truth behind “termite season” is that every season these pests pose a threat to your home. Currently, there are approximately 2,000 different types of termite species located throughout the world. Those that are considered to be the largest threat to homeowners include the subterranean termite, the Formosan termite, dampwood termites, drywood termites, and the conehead termites. The subterranean termite is considered to be the biggest issue – in terms of expenses and costs – within the United States. Additionally, they are the most common. For the purpose of this brief pest control guide, we will be referring to information regarding the subterranean termite. Each year, billions of dollars of damage occurs to homes, businesses, and other structures. While most would credit hurricanes, tornadoes, and other natural disasters as the cause of this damage, that would be incorrect. The culprit are small insects that – in some instances – are barely visible to the naked eye. The name of this insect? The subterranean termite. These insects have been in existence in excess of 55 million years. They not only destroy structures, but also destroy books, photographs, documents, and a vast array of other products. This type of termite is part of a colony that acts as one. If the termite colony finds its way onto your property, there could be millions upon millions of termites feeding and nesting in and/or near your home – the single largest investment of your life. In turn, they can result in the single largest expense that you will ever face. Why Do People Say There is a “Termite Season”? Now, as we have outlined previously, you know there is no “termite season”. When the term “season” is used, it is commonly referring to the time when termites engage in swarming. Regardless of what time of year it is, termites are active; however, swarming occurs are different times. 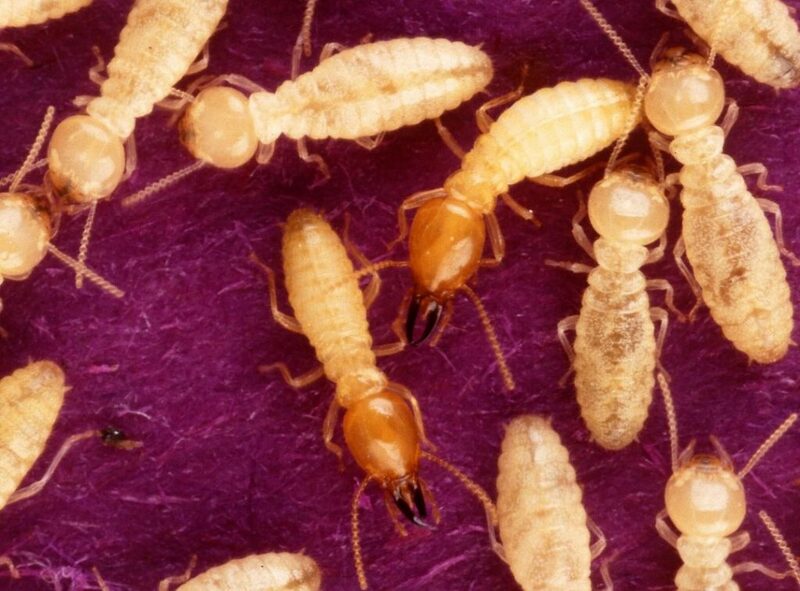 For subterranean termites, the swarming occurs in the spring months. It can also happen during the summer months. As a result of the swarming, most individuals notice infestations around their home during this time. This is also the time when most homeowners seek pest control services in order to tend to the swarming insects. Unfortunately, most find that it is too late and the damage has already been done. Like most pests, people believe that if they do not see them, they do not exist. When it comes to termites, though, the enemy is invisible. That is, you will not typically observe termites until they swarm or they have done such an immense amount of damage that you are able to actually see the colony feeding on your home and other structures on your property. This is why it is important for you to know that termites are feeding all year long. Now, it is time to learn the signs associated with a termite infestation. If you have drywall in your home, you may start to notice areas that are discolored. In severe infestations, the drywall may actually start to droop or become soft. If your walls are painted and you start to see that the paint is peeling back and you know that there is no way water could have caused the issue, termites may be to blame. 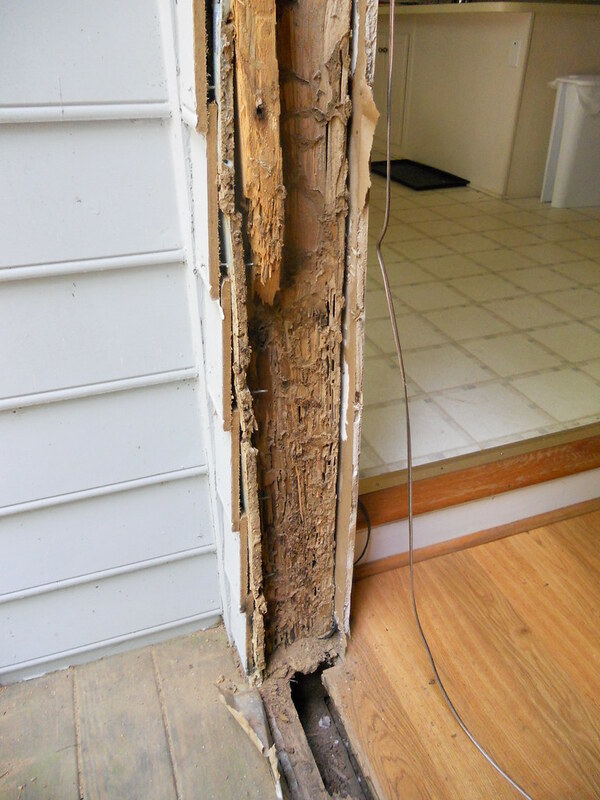 If the wood in your home is hollow, crumbling, or shows visible signs of damage, it is time for a termite inspection. Pay special attention to your floors. If you notice that the tiles are loosening, they are buckling, the floorboards are squeaky, or other issues, termites may be to blame. If there are patterns on your walls, the floor, or the furniture pieces in your home that look like mazes, it is likely that you do have termites. Mud tubes that are on your home’s foundation or the exterior region of your home are created by termites. If you see termites swarming on your property – regardless of location – there is a present and active infestation. Identifying a termite infestation is the first step to eliminating that infestation. We here at All Pest offer comprehensive inspections and have the capability of quickly eliminating colonies. By letting us help you now, you are taking the steps necessary to prevent future problems and expenses.